Mark Hayes is known for his dazzling piano artistry. However, many of the players who love his arrangements wish that they didn't have quite so many notes or require such large reaches. 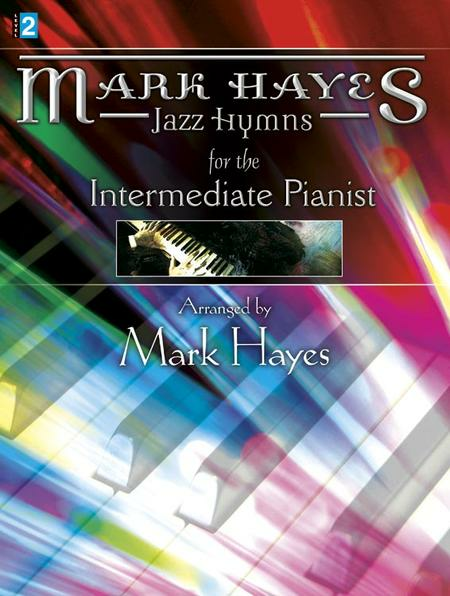 Mark's third book of "intermediate" solos--designed specifically for these players--includes spirituals and Gospel songs with all of the brilliant Hayes trademark jazz chords and "licks" but in settings that can be mastered more easily. You'll feel the joy the first time you open the book at home; then you'll want to share it with your congregation. April 26, 2018 Could mention that most pieces are gospel type. Finely written and effective for intermediate pianists. These pieces are SOOO much fun to play (and for people to hear!). However takes some practice even for me with Masters degree in piano performance. This is my initial introduction to this arranger. I like his style & rhythms. There's a flow to his arrangements. But while he could add a few more jazz chords, I'm learning to improvise on my own! I'm happy with his music & recommend it to others. He's done it again. THANK YOU, Mark!!! Beautiful twist to old hymns. I thoroughly worship the Lord through my fingers with these not-too difficult arrangements. Easy to read and fun to play. Very useful for playing when congregations recognize the tune, but may shy away from too much jazz!